Clear stamp - Border stamp - Stars. 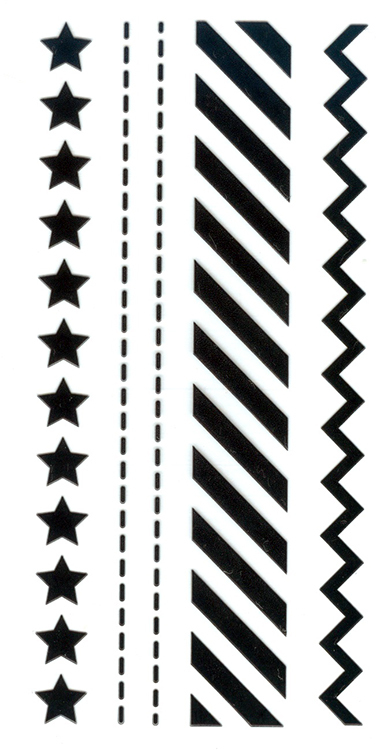 4 stampszigzag, diagonals, stitch or dotted lines, stars.Each stamp measures 4" long and approx. 5/8" wide.